Training for an expedition involves both physical and mental preparation. For the body, emphasize cardiovascular training and strength training equally. Cardiovascular conditioning is important for physical activity at high altitudes. 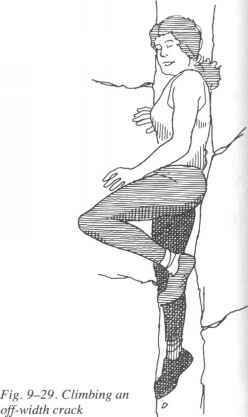 Powerful leg muscles are needed to walk heavy loads up the mountain, and upper-body strength is needed to hoist and carry the large expeditionary packs. Climbing itself is the best training. Climb often and in all weather conditions, carrying a heavy pack. If you can go on a typical two- to three-day climb packing gear for camping and climbing, gaining 3,000 to 5,000 feet per day, and feel you still have plenty of physical reserves, you're probably sufficiently fit for an expedition. An expedition climber needs the endurance to carry packs of 40 to 60 pounds (sometimes in addition to pulling a sled) for an elevation gain of 2,000 to 3,000 feet every day, day after day. Your mind and spirit also need to get into shape for the rigors of an expedition. Learn about the special challenges of expedition travel and prepare yourself to accept them. Otherwise, you can be overwhelmed by the size and remoteness of the climbing area or lose your good spirits during a long storm or a bout with the flu. Success on an expedition often goes to the person who has a greater desire or will to succeed, even though he or she may be physically weaker than another climber. It takes more than physical strength to deal with extreme cold, sickness, cramped quarters, poor food, conflict with teammates, the stress of technical climbing, and the lethargy brought on by high altitude. winter climbs and on longer trips. You may not be able to alter such objective conditions as cold or illness, but you can learn to exercise a great deal of mental control over your response and attitude toward them. Why are tour guides pyhsical and mental? What is physically and mental conditioning?